Water dispersible powder. For the treatment of gastrointestinal and respiratory infections, CRD and E. coli. 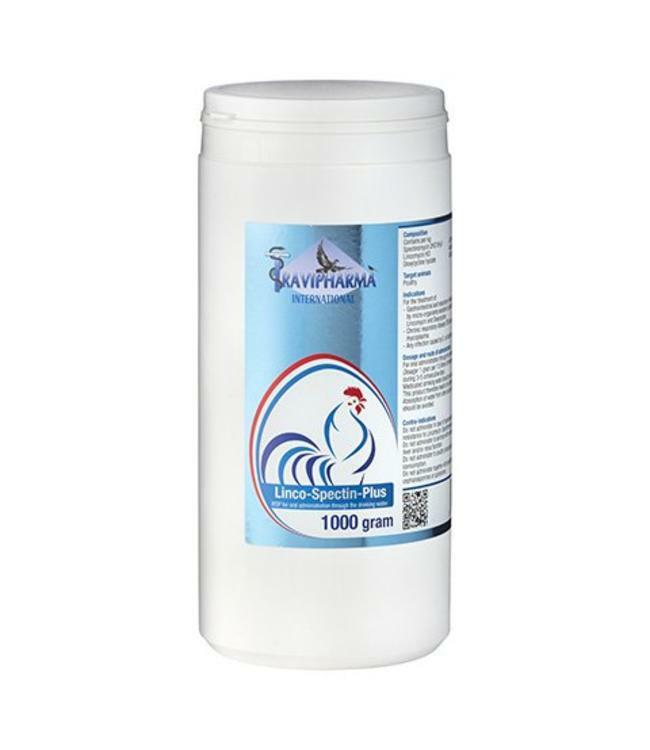 For the treatment of: Gastrointestinal and respiratory infections caused by micro organisms sensitive to Spectinomycin, Lincomycin and Doxycycline; Chronic respiratory disease (CRD) associated with mycoplasma; Any infection caused by E. coli bacteria. Contains per gram: Spectinomycin 2HCl 5H2O 67100000 I.U. Lincomycin HCl 44045000 I.U. Doxycycline hyclate 43500000 I.U.